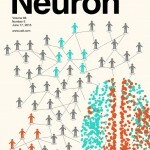 Work by Olaf Sporns, YY Ahn, Alessandro Flammini and colleagues was featured on the cover of Neuron. 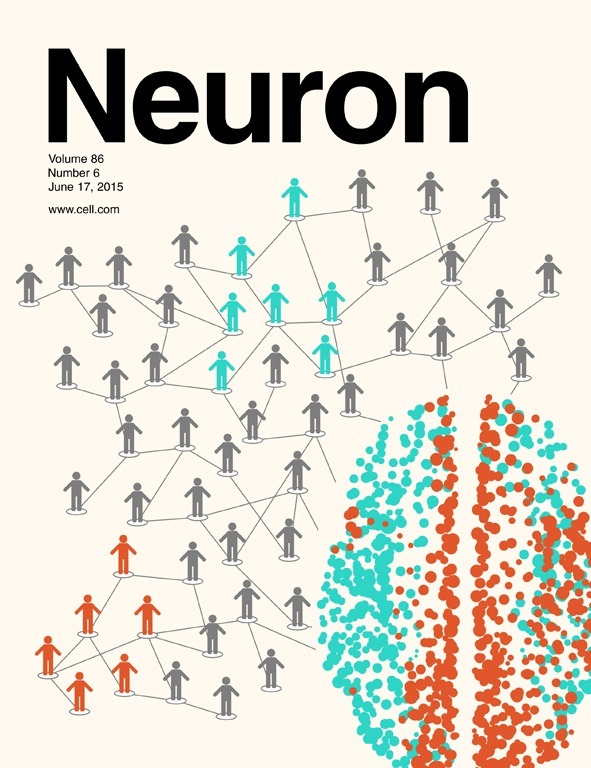 In the paper Cooperative and Competitive Spreading Dynamics on the Human Connectome, the authors present a simulation model of spreading dynamics, previously applied in studies of social networks, that offers a new perspective on how the connectivity of the human brain constrains neural communication processes. Local perturbations in a social network can trigger global cascades (orange and turquoise epicenters in background image). In the case of the brain, the spreading of such cascades follows organized patterns that are shaped by anatomical connections revealing how interactions among functional brain networks may give rise to the integration of information.